Welcome to my website, here I will try to update you with relevant information regarding me and my dogs, please do not hesitate to contact me if you have any questions. This site and all its information is in English, but please feel free to make contact in other languages if necessary. I only have males at home, and they are available as studs for suitable females. Currently I have 2 males living with me, two co-owned males living elsewhere, and one girl also living elsewhere. Please find information on the dogs I show/breed by respective tabs. Hope you will enjoy looking at my dogs. 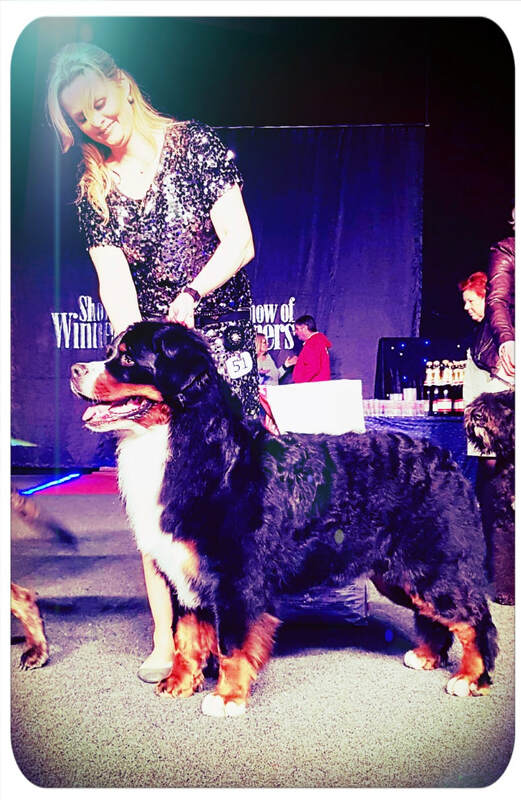 World Winner 13 & MultiCH Sennetta´s Columbo "Frodo" & I at Helsinki Winner Show in December 2013. Frodo took FICH - NORDCH - HELSINKI WINNER 2013 & BIG 2 - a great memory. My name is Nicole. I live together with my husband and our two children: Frederik age 15 & Emilia age 18. We live in the northern part of Zealand, Denmark. Our dogs are family members and share our daily life as family dogs. In my house I currently have two boys, furthermore I co-own two boys & one girl. My boys interact with each other all day and in all daily situations, on a daily basis they also interact with all kind of dogs on our walks in our local forest where they can meet & greet without beeing on leash. I do Body Core & Balance training with my dogs of course to keep them fit but also to handle them and build trust and confidence in all kind of situations.